Blog posts Owl Conservation? There's an App for That. We’re always pleased when someone recognizes what we’ve been able to accomplish, working on a shoestring budget, for snowy owl research and conservation — which is why we’re grateful to Connectify. 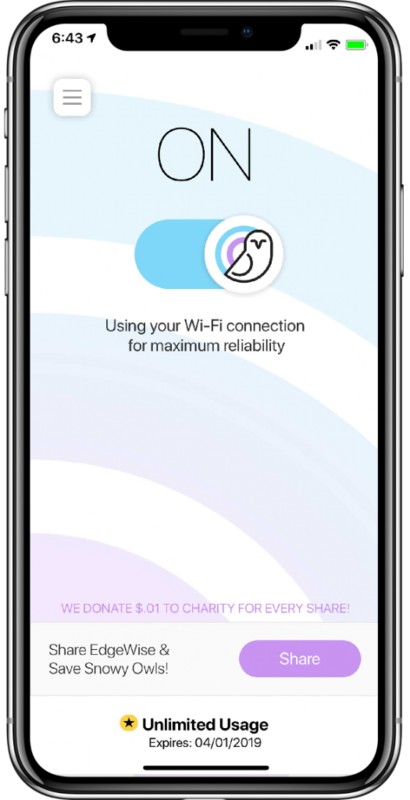 This Philadelphia-based company created the first software-only wifi hotspot, and since then has launched a number of other apps to smooth or speed online use. They also have a policy of donating part of their profits to charity — until now, largely to causes related to internet freedom. 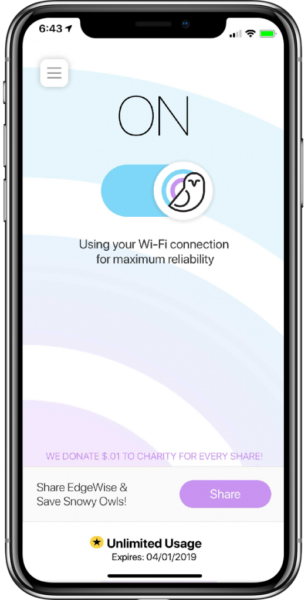 But their newest product, an app called Edgewise that moves your device from wifi to cellular and back when you reach a dead zone, features a snappy, stylized snowy owl as its logo. So the Connectify team knew they wanted Edgewise to support owl conservation — and their engineer Navin Sasikumar suggested us. Connectify expects to donate 3 percent of its profits from Edgewise to SNOWstorm. We appreciate both the direct support, and Navin’s original vote of confidence that made it possible. Woo-hoo! Wonderful news – thanks Connectify! What a terrific piece of news! It is great to know that technology is not always the villain and can be used to help owls and other wildlife. Nice to hear that good news! And nice how technology is being used to help owls and other wildlife! Sorry for the double post. Thought the first one did not go through. I see the app is only for apple….coming to android soon? I checked with Connectify. While it’s currently only available for iOS, if the response is strong enough they’ll consider an Android version. Thank you CONNECTIFY! I would never have heard of you if it weren’t for this donation. I will definitely check you out now.